Today is my Dad's Birthday. Happy Happy. He's a great father and embodies all that you'd hope would go along with a great dad. I know every girl says she has the best but really, I do. For Father's Day I wanted to include something on the menu that my dad would appreciate, wedge salad. He tends to order this when it's on the menu and it sounds tasty to me these days as well. 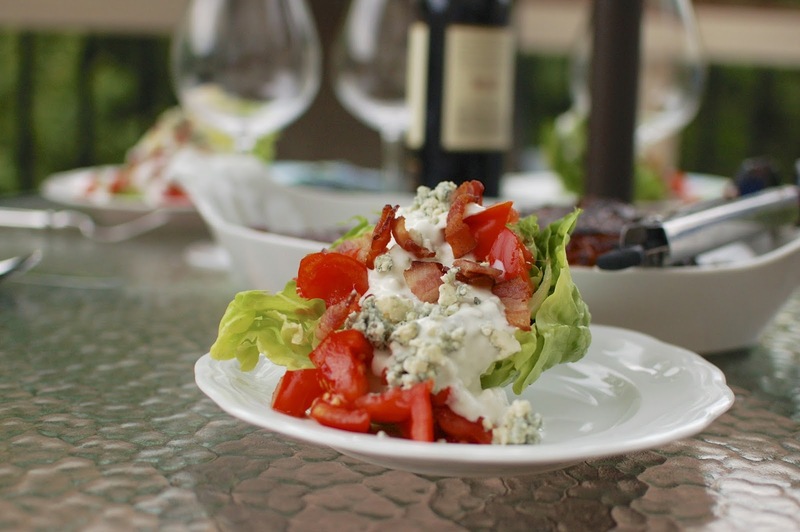 Bacon, fresh tomatoes, and homemade blue cheese dressing over fancy lettuce (no iceberg here) made this salad a real winner. I'd like to make it again very soon. Recipe thanks to and adapted from Sunset Magazine. 2 heads little gem or other small headed lettuce you can cut in half. romaine leaves work too. 1. Mix the sour cream, mayo, buttermilk, salt, garlic powder, and 2 tablespoons water in a medium bowl. Stir in half the cheese and mash it a bit as you mix then chill for 30 minutes. 2. 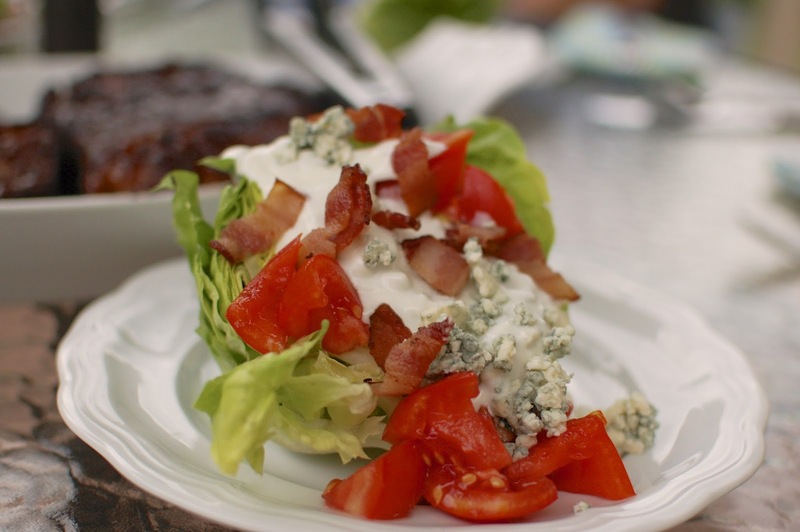 Set a lettuce half on each plate and drizzle with dressing them top with crumbled bacon, tomato, and remaining blue cheese. The dressing can be made 3 hours ahead of time before serving.